As both a father whose daughter grew up in the martial arts and an instructor with black belt rank in three different styles I feel somewhat qualified to comment on some of the observations I have made in over 40 years in and out of training. I have visited numerous schools throughout the years and couldn’t help but notice that the more prestigious ones shared similar traits. Please note that I said “prestigious” not big or fancy, because while I truly believe quality and education should be rewarded economically, profit and prestige are not necessarily the same thing. One only has to remember the first Karate Kid movie. I ask you, would you rather study with a humble but qualified Mr. Miyagi at the beach or with the financially successful owner of the Cobra Kai school with all his colorful mats, punching pads and large number of delinquent students? I thought so. So what is it that all these schools I would have liked to study at have in common? Forty years ago when I first went looking for a martial arts instructor I was more interested in the qualifications and knowledge of the instructor than the color of his floor mats but then I was a relative exception to the rule. Most parents today don’t really do much research and confuse “showy” with knowledgeable or worse yet fun with education and preparation. Having a lot of kids laughing and running around may impress a certain number of uneducated parents but my experience is that they end up leaving all too soon due to a lack of support or long term interest. A wise man once said that you only have one chance to make a good first impression and that is certainly true in the martial arts. You can be a great instructor but to teach you must first attract, sign up, and maintain students. I believe that parents or prospective students shouldn’t feel uncomfortable or out of place upon first entering a dojang. Regardless of how humble or large the school is, an effort should be made to welcome strangers and make them feel at home. Questions should be answered and a place made available where they can watch. Some sort of literature should be immediately handed to them in order to overcome any time constraints or in case they don’t know what questions to answer. I am also a believer in using posted legitimate credentials as a subtle marketing device. Diplomas, trophies and other awards should be obvious but not blatant. By this I mean they should be something the parent or student realizes but not one that is rubbed in their face (so to speak). I distinctly remember entering a dojang some years back and before anyone said hello or even inquired as to my previous experience they started bragging about all their trophies and the school’s success at tournaments. It was clearly a “my style is better than your style” situation and since humility is supposed to be part of the arts I left disgusted with their boastful attitude. At the time I was more interested in self-defense than sport competition and consequently they were never given the chance to explain their capabilites in that type of instruction because they had jumped to the conclusion that I was ignorant of the martial arts. Listen to what the customer is interested in before beginning any sales approach. Fulfill their needs not your own ego’s. Cleanliness and first impressions are very important. I’m not talking about fancy, just clean and orderly. Many parents are also interested in the discipline aspect of the arts, and if they aren’t they should be. In several of the schools I’ve attended a certain period of time before class even started was devoted to having students sweep the mats or vacuum and cleaning around the dojang. It was explained to the parents from the outset that this wasn’t to replace a cleaning crew on the cheap but rather to teach students to take pride in their school and to teach them responsibility. There seems to be a tendency to modernize the martial arts with name changes like “Modern this” or “Combat that” but truthfully I believe the core student population prefers stability and evidence of martial art longevity and traditional success. Uniforms and required routines like bowing in, facing the flag, addressing the instructors properly etc. help set the stage for that impression. Another more “modernized” school I visited in Miami in the 90’s was a classic example of how to turn away a serious martial artist. I was looking for a school to train my 5 year old daughter so naturally I chose the closest one in the style I desired. What I didn’t know however was that this particular school was one of a franchise chain. The school was situated in an upscale neighborhood and in a rather pricey mall. With all the signage and location I expected to find a successful martial arts school. It may have done well financially but when I entered I immediately noticed the number of parents and students walking around the mats with shoes still on. The noise was deafening and not from Ki-ahps but rather from parents talking and kids running around unsupervised. One young student ran up to me with a uniform emblazoned with so many patches he looked like a Nascar driver. On his belt were several stars and stripes. When I asked about the stars he informed me they were not from success in the art but rather because he had finished his homework or because he got a good grade in school on a report. In spite of the current politically correct mentality of child rearing I personally do not believe giving awards for merely showing up is in the long run a good idea. If everyone in class recieves a promotion simply for showing up then where is the pride in accomplishment? What does an “A” in school mean if everyone gets one. Most of us remember the boring teacher in the movie Ferris Bueller’s Day Off (Bueller, Bueller, anyone?) and trust me that attitude will lose students faster Bruce Lees one inch punch. The instructor must convey a sense of enthusiasm and vary the class routine. While repetition is essential to proper martial arts training it can still be achieved with moving drills and games that emphasize proper technique while still make the time go quickly. Such things as coordination exercises (crossing lines back and forth at a jump, maze drills, dodge ball, column moving drills etc) make the children feel like they are at play while still instructing them and helping increase strength and reflexes. I am firmly convinced that the success of a child martial artist is due in large part to the “soccer mom” attitude of the parents. To succeed in the martial arts someone has to take the child to class two to three times a week for years and put up with temper tantrums, pleas to quit and do other things, financial hardship etc. Therefore it is essential to educate the parents as well and to allow them to participate in some fashion. Whether it be in hosting a birthday party, or helping organize a demonstration at a school or church. Whenever possible I like to have a couple of willing parents hold the kicking pads so I can do maze or speed drills. It gives them a feeling of sharing the experience with their children and occasionally some of the parents end up taking lessons as well. A decent dojang should pay attention to detail. Having a place to put one’s shoes lends an impression of orderliness. The same is true of the locker room. Trust me, trying to change clothes in a bathroom so small there is no room to place to turn around or to hang one’s things is annoying. Pads should be but away in an orderly manner, not left lying around. There is nothing wrong with not having the most expensive pads or kicking dummies (remember Mr. Miyagi’s “paint the fence or “wax on wax off?”) but what you do have should appear well maintained. Some of the best and most entertaining drills I remember were trying to kick a simple tennis ball suspended from a string or trying to block or kick a series of rubber balls thrown at the student. (Dodge Ball.) At the end of class however they should be collected and put in a bin or drawer. I remember a rather small two story dojang taught by a Taekwondo master. The upstairs mat area was not big enough to both hold class and at the same time allow parents to watch. The master cleverly solved the problem by installing a camera upstairs and video screen downstairs so the parents could watch and comment without disrupting the class. A coke machine for the parents even helped a little with the school’s finances. Finally the better dojangs are those who have instructors trained in a certified curriculum, not in a monkey see monkey do approach to the martial arts. These types of schools often confuse endless exercises with martial arts instruction or disguise their lack of knowledge with a narcissistic attitude. Exercise is important but not to the extent that you lose students who don’t yet have the conditioning necessary or worse yet spend so much time with push-ups they never learn to defend themselves from a trained attacker. Martial arts exercise is supposed to limber the student for class to avoid injury and to build the stamina and flexibility necessary to learn the necessary techniques. In the end however it is the technique one is supposed to learn not the exercise. The end goal having a superior self-defense capability not merely a superior physique. So in the end there is no magic to what is mentioned above. Most partents teach it to their children early on. Respect, integrity, humility, cleanliness, promptness and education. Trust me, the discerning parent looks for the same philosophy when selecting a school for their kids. I know I did. As a martial arts instructor and student I try to implement all of the above tips into our Hapkido school in Ocoee, Florida. 1. 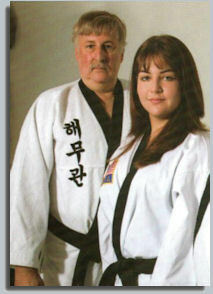 Our Staff: The Taekwondo and Hapkido instructors at our school are among the best in the world. They are highly skilled martial artists, and motivators who lead by example and teach with patience and enthusiasm. All of our teachers are licensed and certified by the world headquarters in Korea. They will take a personal interest and be committed to your child’s success. 2. Our Teaching Methods: Watch any of our Taekwondo or Hapkido classes and you will notice how we combine respectful discipline with a friendly hands-on approach. You will also notice the use of praise to provide positive motivation, explanations, and physical demonstrations to accommodate all learning styles. 3. Our Curriculum: Designed by the world headquarters in Korea, our curriculum includes the most exciting and beneficial aspects of Taekwondo and Hapkido. These include kicking to improve flexibility, forms for balance, and partner drills to improve speed and reflexes. Your child will also be introduced to board breaking to increase confidence. Your child will experience cultural diversity learning some of the simple phrases of the Korean language giving them valuable skills for the future. Our students also get an opportunity to participate in our summer cultural exchange program working with student from Korea or traveling with our school to Korea for training in Taekwondo and Hapkido. 4. Our Class Structure: No two Taekwondo or Hapkido classes are exactly alike. A variety of drills are used to disguise repetition and keep your child interested while refining their skills at the same time. 5. Our Students: Where else can you surround your child with a dedicated group of young people all working together to develop their physical, mental, and emotional strength? Training side by side with other children of their same level will not only develop your child’s cooperation skills but will encourage friendships that motivate them to attend Taekwondo and Hapkido classes regularly. 6. Our Belt System: Traditional sports are limited in their ability to recognize a student’s increase in knowledge and ability. Our 10 different colored belts combine the best in short and long term motivation continuously rewarding your child for their progress and leading them towards a higher goal. This benefit of Taekwondo and Hapkido training is not available in any other youth or family activity. 7. Our Special Events: In addition to standard Taekwondo and Hapkido classes we know kids need different events to look forward to. Every month, we run an extra event filled with fun and excitement. These include outdoor training, Costume parties, 24-hour camps, movie nights, demonstrations and more. 8. Our Recognition Program: In addition to our belt rank system and daily praise, our Taekwondo and Hapkido programs offer your child opportunities to be recognized for their effort and accomplishment. These include student of the month awards, outstanding performance trophies, yearly honoree plaques and modeling opportunities in our public advertising and on the website. 9. Our Family Program: As a member of our family program you can enhance the enjoyment your child gets out of the program, help them to understand and maintain the commitment they’ve made, and receive the benefits of the American Dragon Martial Arts Academies for yourself. Our Taekwondo and Hapkido programs are safe and fun, easy to learn and a great way to bond with your family. 10. Our Results: The strongest reason to make a commitment for your child is what they will gain from our Taekwondo and Hapkido classes. We offer training for a healthier body, a more focused mind and a more confident and disciplined spirit. Your decision to enroll your child is a commitment to developing your child’s abilities and providing for their individual needs. It isn’t just our trademark quality. It is our personal guarantee. This isn’t just our opinion. It is the reason that every Taekwondo and Hapkido instructor in our organization has been nominated for, and inducted into, the “Action Radio Network and World Martial Arts Magazine Hall of Fame”. It is also why our school in the only martial arts school on the planet to be awarded the prestigious “School of the Year Award” from the Korean Martial Arts Instructors Association of Seoul, Korea. Federation HaeMuKwan. Our wish for students and the members of this Hapkido family is that they will not only grow in their Hapkido technique, but also in their personal and spiritual lives. We are seeking to develop the body in conjunction with the mind and spirit. When one has good physical health, mental clarity and personal happiness you can be of benefit to your family, your country and the world around you. At our Hapkido schools in Clermont and Ocoee, Florida we teach that HaeMuKwan Hapkido is not a sport. It has great practical benefits for fitness, self development and self protection. As a classical martial art, HaeMuKwan Hapkido’s purpose is to develop every aspect of the self, in order to create a mature person who totally intergrates their intellect, body, emotions and spirit. If you are willing to dedicate yourself to the study of HaeMuKwan Hapkido, you will reap the great physical, spiritual and mental benefits that are a part of its nature. At American Dragon Martial Arts Academies in Clermont and Ocoee Florida, we teach the Martial Art of Hapkido to those who wish to develop strong self-defense skills, gain self-esteem, and find personal happiness. We are the only licensed and certified Hapkido school in Clermont and Ocoee, Florida. Don’t settle for less! You will find that there are Haemukwan Hapkido schools around the world sharing our mind, body, spirit training philosophy. I remember a discussion I had a while back with a Grand master who had returned from a Hapkido seminar that he was invited to teach. After the two day seminar was over one of the more physically fit and higher ranked men in this group of attendees confided to the Grand Master that although he had been in the martial arts for thirty years he had never even seen half of the techniques that were taught, even though many of the techniques shown were fairly basic for lower dan ranks in Korea. Unfortunately there are many in the martial arts industry who confuse gymnastics and exercise with martial arts. I am not saying that physical fitness is not important, I am saying it should not be confused with the primary mission of martial arts instruction which is self-defense training. Proper training methods help to develop your total mind, body and spirit. This particular seminar attendee obviously had trained for years while learning from a substandard instructor who camouflaged his lack of knowledge by filling the class time with exercises and repetitive drills. Those who studied with him mistook rank advancement with increasing physical fitness and speed or improvement in the limited number of techniques learned. Being able to perform a certain number of pushups was part of his black belt exam. I equate this with the man who studies for years to be the fastest draw in town without knowing you also have to put bullets in the gun, aim and fire. He may look good, be in great shape and draw first, but when he finally goes up against a real gunslinger he will learn a very nasty lesson. A teacher who would fail to seek out the advanced knowledge that he lacks while telling his students that rank requirement stuff is just “politics” is morally and ethically weak. My point is that martial art rank requires not only physical skills but experience and knowledge as well. While we certainly need exercises in order to limber up and to prevent injuries, and while the more fit individual has the better chance in a physical encounter, it is not the sole factor to consider in rank advancement. In fact in the final Grand Master ranks promotion is based on education, knowledge, theory and students success rather than on a physical demonstration of fitness. My understanding is that Chuck Norris has had a hip transplant. Should we criticize his martial arts skills because he uses his son to double for his high spin kicks? Steven Segal is a little larger around the waist than he was twenty years ago. Does anyone seriously doubt his rank because he is not as fit as he once was? While there are many tremendously fit football players in college sports, I personally would rather study with Don Shula or Dan Marino even though they may not run as fast or throw as far any more. If it is teaching I need I want the most knowledgeable instructor. Someone who has “been there done that” so to speak. I am always impressed with men like Jack Lalaine and Buster Crabbe who could model clothes and swim the English channel in their eighties but truthfully they have always been the exception to the rule. As someone pointed out to me once, you can train a monkey to flip and kick but they can’t earn martial arts rank. Of course they can’t because there is so much more than jumping and doing cartwheels and the true masters know that. We all strive to be as fit as we can be but life and genetics take their toll. Recently I read with horror and dismay about a sport Karate master who was sexually abusing students. Should he be praised for his fitness? Certainly not. The martial arts, especially arts like Hapkido, are also about respect, humility and self-discipline. My point is that while physical fitness is an important aspect to training it should not be confused with the end all do all of the martial arts. Again I ask you would you rather study say Kung fu with a twenty year old local tournament winner who is in perfect shape or with Jackie Chan. I know my answer but then again I am over 50 and not quite as easily impressed as I once was. I’m sure that the master mentioned at the beginning of this article did not understand why I was not so impressed with his large biceps but lacked fundamental knowledge of Hapkido principles. He was proud of his physical strength and the hard work that it took to develop it. But he failed to realize that he had ignored the development of wisdom and virtue. It made him physically fit but morally weak and that is not the way of the Warrior. Meditation benefits those in the martial arts because it develops both mind, body and spirit. It has a number of health and psychological benefits. Because it reduces stress and lowers heart rate (which is beneficial to the body) meditation prior to training can make the experience more enjoyable. The most common form of mediation in Hapkido occurs from a particular sitting position. It is inevitable that there will be both physical and physiological benefits, as well as the more recognized mental effects. The concept of mediation implies obtaining personal control of one’s mental state and entering a higher plane of relaxation. The object is to create a greater awareness of the subconscious mind. To do so requires mentally overcoming and ignoring the body’s aches and pains, and developing a greater control of breathing and circulation. Physical effects can be noted starting with during initial phase of pre training meditation. Meditations begins with the correct positioning of the body into a sitting position with the legs crossed and the hands resting on the knees. The practitioner should not slouch. In this manner Ki energy centers are aligned, or in more western terms, posture is improved with correct positioning of the spine. Sitting in this manner will strengthen back, neck and abdominal muscles, and help stretch leg muscles. At the same time this position helps flex the knees and hips. Initially this is a slightly painful or stressful position especially for the untrained, the elderly or the infirm (i.e. Arthritis). Eventually the Hapkido practitioner will improve back, leg, and lower joint strength, posture and flexibility. From a more physiological standpoint meditation will lower blood pressure. According to masters of meditation there are two elements making up meditation: the “jing,” which means calmness and stillness, and the “ding,” which stands for concentration and focus. Calmness is directed towards cutting off external factors of disturbance and enabling one to direct attention towards the inner self. By allowing the mind to concentrate, a state called “one-pointed awareness” is achieved. This state allows a deep concentration, allowing the practitioner a better understanding of any elements that are focused on. There should be no, or very limited, distractions during this heightened awareness state. This technique may be used efficiently to find solutions to problems presented by the outside world. It also prepares one to deal with such difficulties. There are different thought processes (mental tricks if you will) that can help the practitioner achieve these higher levels of relaxation. One common method is to picture in one’s mind an image of a flowing river with large waves. Concentrating on slowing the river and calming the waves is an effective technique. Another image that is often used is that of a flickering candle. During deep meditation the idea is to slow and eventually stop the movement of the candle light. During such meditation the practitioner must learn to ignore sound, light and smells that might otherwise create distractions. Focusing solely at first on breathing patterns and heartbeat will help in achieving this goal. In more medical terms, as the mind and body relax and jing is reached the heart rate will slow down and blood pressure will drop. Body tissues metabolism slows thus requiring less energy and oxygen. This allows more oxygen and energy to be diverted to the brain and its thought processes. Endorphins are also released further enhancing this state of calm. As the Hapkido student repeatedly practices mediation the body will become more accustomed to the correct position and less effort will be expended by the mind to overcome physical discomfort, again allowing for more energy to be diverted to the brain. An important aspect of meditation is the control of breathing. As one learns meditative breathing there will be various results. Correct breathing should include a slower and deeper rhythmic pattern with inhalation occurring through the nose and exhalation through the mouth with a slow yet vocal expulsion of air. The inhalation increases Ki energy, helps slow heart rate and creates the sense of ding,” which stands for concentration and focus. Calmness is directed towards cutting off external factors of disturbance and this enables the practitioner to direct more attention towards the inner self. This pattern of meditative breathing brings Ki energy in and the vocal expulsion eliminates negative energy. In western medical terms such breathing patterns allow for hyper oxygenation of tissues and the strong exhalations eliminate carbon dioxide and prevents detrimental lactic acid buildup. While trying to achieve a higher mental state of calm and awareness (jing and ding) it is necessary to ignore physical discomfort, focus on breathing and allowing the conscious mind to relax. Through this process one should achieve a state called “one-pointed awareness.” In this state it is easier to achieve a deep level of concentration, allowing a better understanding of any elements that are focused on. There should be no, or very limited, distractions during this heightened awareness state. This technique may be used efficiently to find solutions to problems presented by the outside world. It also prepares one to deal with these difficulties. Creating a rhythmic “drumbeat” breathing pattern helps increase internal energy and helps block out outside interferences. This state is very similar to descriptions of the level achieved during autohypnosis. The benefits of meditation will to a certain extent vary with the goals and philosophy of the practitioner. The belief system of the martial artist, whether it be Taoist, Buddhist, Hindu or Western cannot help but influence the end results of meditation. Regardless, all those practicing meditation will benefit to one degree or another, whether that benefit be spiritual, medical or corporal. It is interesting to note that since Hapkido is at the same time both a hard and a soft art; it’s most strenuous and rigorous training regimes are initiated with pre-training medication to prepare mind and body. Meditation during the day will help the strongest and most dedicated to relax and to control their emotions. Since Hapkido teaches that those who lose their temper, tire first or are overly stressed will suffer most during a fight, medication becomes an essential aspect of training. Meditation benefits Hapkido martial art training because it develops mind, body and spirit. It reduces stress, creates a sense of well being, and makes Hapkido all the more enjoyable. Over the years (42) I have visited many martial arts schools and have trained in several different styles such as Taekwondo and Hapkido. Recently I became interested in the philosophical approach to self-defense. This means to meet an attack with the appropriate level of response to protect one’s self. Richard Hackworth practicing Hapkido with the Korean Presidential Body Guards and Korea SWAT. The most common principle taught at most martial arts schools concerns how to react to an attack with a decisive counter reaction. The problem is that not all attacks require devastating counter attacks to be effective self-defense. Consider for example the case of a child in school who takes a swing at a classmate who happens to be one of your students. I’m sure any student who has been in class for more than a week has learned how to block and counter a punch. Perhaps they have been taught a throwing technique which while defensive in nature, can still be deadly when someone is thrown to the concrete floor. The Hapkido philosophy I am referring to is that of distraction, control and simple immobilization rather than counter attacking with a devastating or finishing technique. In other words there will be occasions in life where non-lethal force will be necessary for self-defense. If you are a martial artist it will be hard to defend in court why you chose to react to an unarmed purse snatcher with a fatal hand strike to the throat or a permanently paralyzing roundhouse kick to the lumbar spine. Try talking your way out of court when your red belt son responds to a simple push by breaking the bullies fingers and then leg sweeping him to the cement floor resulting in a fractured skull. Many instructors fail to realize that not all self-defense situations are “Mortal Combat” and fail to provide their students with non-lethal alternatives to self-defense. Much of this is because most schools don’t have a real curriculum or qualified instructor but more on that in another article. When considering non-lethal or even non crippling self-defense techniques the first aspect is that of distraction. In Hapkido, and most other martial arts, you learn that the Ki-ahp yell is valuable for increasing Ki and the power of a technique. It can also serve as a distraction to an attacker. When an attacker is confronted with a loud yell directed back at him even the slightest flinch or blink can give the defender a momentary edge. A Ki-ahp can cause an attacker to hesitative or to take a back step, allowing the defender to change positions. This will set up the control part of the combination, or the neural-stun. Once the attacker has been temporarily stunned the defender can either escape or to subdue by means of a Hapkido joint lock, arm, leg or knee bar, or simple choke. Of course when attacked you can always argue self-defense but self-defense instructors should remember that in the confusion of an attack things are not always so obvious to witnesses. Causing a bruised shin or a sore pressure point is much more defensible than breaking an arm, cracking a rib or worse yet hospitalizing an opponent with a concussion. The court system is full of attackers who turned the legal tables on their victims either by pretending that they were in fact the victims or by arguing excessive force was inflicted upon them. Every day people are faced with situations where non-lethal self-defense force is preferable such as disputes with neighbors, arguments at work, having to deal with an unarmed alcoholic just to name a few. In these situations it is wise not only to study the verbal skills of conflict avoidance but to study the techniques to distract, control and immobilize, rather than the more lethal martial arts moves. Dr. Ron Stone with daughter Andrea. At Korean Hapkido Federation schools we know that flexibility is an important aspect of overall health. There are many benefits of flexibility training, including a lower risk of back pain, increased physical performance, improved posture, reduced muscle soreness and much more. Practicing Hapkido is a great way to increase flexibility and get all of the wonderful benefits. It is a great alternative to yoga that many people enjoy. Plus it brings the added benefit of learning self-defense. If you are looking for ways to increase your total body flexibility check out the Hapkido schools in your local area. Hapkido is an excellent martial art that serves as a powerful method of self-defense. This eclectic Korean martial art uses joint locks, kicks, punches, and some techniques that are borrowed from other martial arts. Students also get to learn how to use many traditional weapons. Practicing this martial art is good for your health and a whole lot of fun. Adults can build their confidence as they increase their flexibility and become well trained in the art of self-defense. Good Hapkido schools give their students all of the tools they need to stay physically fit and mentally powerful. Some adults think that losing flexibility is a thing that just occurs over time, but that is not true. However, regular exercise is simply not enough. In order to flexible adults must focus on flexibility training. Hapkido training not only serves to help adults maintain their current level of flexibility, it allows them to increase it. Those who use Hapkido as an alternative to yoga are impressed at the great results they experience after only a few practices. The proof of effectiveness that appears in their own body and the fun that they have while attending one of the great Hapkido schools is what helps keep them motivated. So, rather you are looking to learn methods of self-defense, improve your health, or increase your level of flexibility Hapkido training is right for you. There are many Hapkido schools and it is not hard to find one that you like. Hapkido training can literally change your life for the better. As your level of flexibility goes up you look and feel much better. Having better health automatically reduces stress greatly. In addition Hapkido training enhances your mental focus. Hapkido schools can give you the tools you need in order to be successful. There are so many benefits to Hapkido training that the list can go on and on. As for flexibility, Hapkido training is the best alternative to yoga that you can find. This is a great way to enhance your life and get rid of some of the things that has been bothering you. Take the necessary action to make a significant change in your life by visiting one of the Hapkido schools in your area and signing up. You can experience the benefits of better flexibility for yourself. Every joint in your body will be healthy and able to move much better. It is amazing what Hapkido training can do. 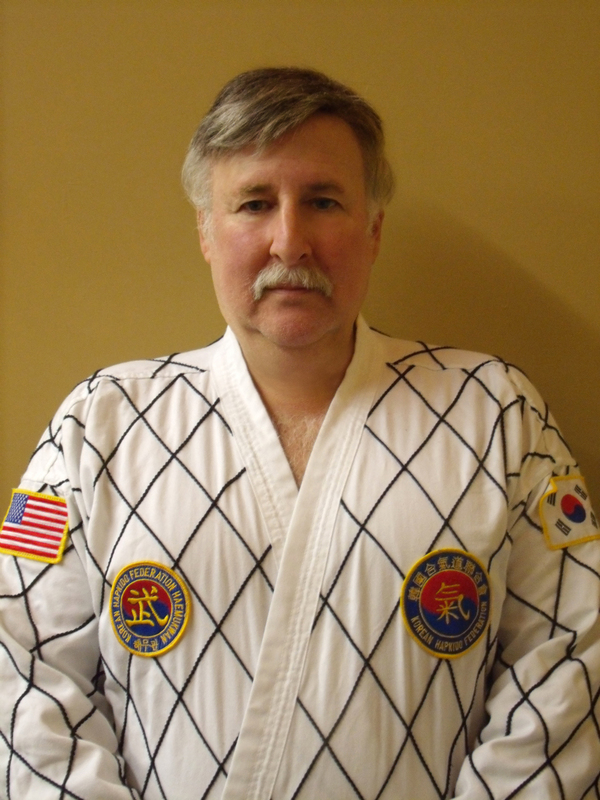 About the author: Richard Hackworth is a multi-arts Grand Master and the host of the World Martial Arts TV & Radio Shows. He is also the Editor of World Martial Arts Magazine and the author of more than forty books on the topics of health, wealth and success. He can reached via his website at http://www.worldmartialartsmedia.com . This month I celebrate my 57th birthday and my 39th year in the martial arts. I assume this qualifies me to discuss the benefits of Hapkido adult self defense for adults my age. Like many of my generation I am constantly amazed at the difference between the things my mind and heart are willing to do and the sad ability of my body to perform them. With the passing of time I become more and more convinced of the old adage that a man is merely a boy grown into a bigger body. The fellow who said “the mind is willing but the body’s unable” wasn’t kidding. After I turned 45 years of age I began to notice aches and pains that I had never experienced before. I can still remember the first time I jumped down off a ladder and felt a strange sensation through my knees. When I was a youngster I didn’t even think about having knees. They were merely areas where my leg bent. Now with the passing of time they are a constant source of discomfort and a reminder the truth behind the aging process. Like many “baby boomers” I lived high and ate well. Perhaps too well. By 1996 I had been diagnosed with Type Two Diabetes. I was never sick a day in my life until then and now not a day passes that I don’t have some physical malady. Fortunately with modern medicine my diabetes improved and is relatively under control. Truthfully though, the single most important recommendation ever given me regarding control of my disease was to reenter the martial arts and to get back into shape. Although I started my studies in 1970 I had stopped training for a few years during which time I gained 95 pounds and grew apathetic. Apparently I was not alone. Any statistical analysis of those in the population of men over 50 years of age will surely include a dramatic increase in obesity, heart disease and arthritis. Not all of this can be attributed merely to junk food. With modern transportation and an increasing dependence on television and the internet for entertainment, physical activity has decreased to an alarming degree. Returning to the study of Hapkido adult self defense has to no small degree been part of my salvation, and I am not referring simply to the benefits of exercise or to the control of Diabetes. 5. Victimology. In other words the impression exists that the older you appear and the more out of shape you are the more likely you will be target for attack by felons. Financial and work-related responsibilities unique to those in this age bracket often interfere with family life and social interaction. Very few men over fifty don’t wish that they had more time to spend with their children or in the case of the typical working housewife could spend more time with husband and friends outside the house. Hapkido is more than merely a set of self defense techniques. It is a complete martial art grounded in time tested and proven methods for improving both mental, spiritual and physical fitness. Dan Jun breathing and meditation usually proceed the typical Hapkido self defense class. The benefits of such mental and breathing exercises are legendary. Stress is reduced, blood pressure is lowered and concentration is enhanced. The body is hyper oxygenated leading to pain control, improved circulation, and a sense of well being. Abdominal and spinal muscle tone is improved, leading to an improvement in posture. This in turn creates a sense of self worth and better confidence, so often lacking in the elderly. Hapkido training will by its very nature improve the cardiovascular status of any of its practitioners. 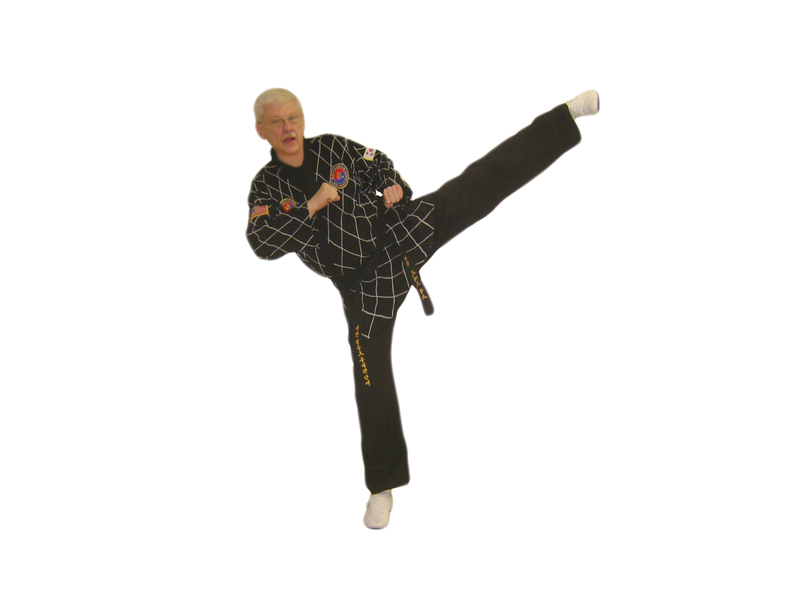 Hapkido offers both aerobic, isometric and isotonic exercises. Arterial sclerosis, hypertension, excessive cholesterol in the blood, and weakening of the cardiac musculature are conditions that will all be improved by the exercises that are practiced in Hapkido training. With proper training there will be a lowering of blood pressure, an increase in cardiac output and improved oxygen interchange, and a conversion of fat tissue to muscle, all benefits for those over 50. 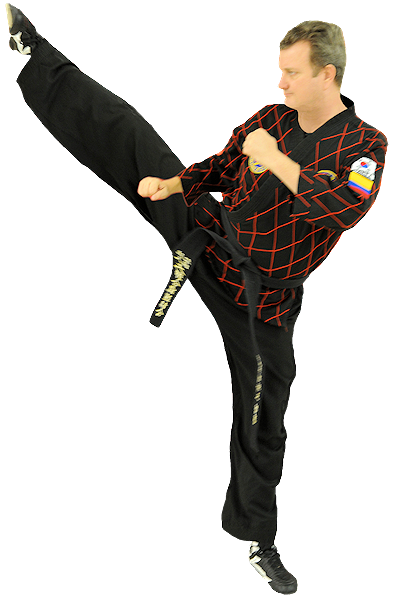 Proper stance and good posture are basic components of Hapkido. This means that in order to correctly perform Hapkido techniques the lower legs, knees and spine must improve. Obviously the stronger one’s support structure becomes, the stronger the tendon’s and ligaments that support the joints are, the less the effects of arthritis or degenerative joint disease will be noticed. With increased Hapkido adult self defense training, posture and lung capacity, the body’s flexibility will be improved. When the stretching exercises that are practiced at the beginning and end of class are coupled with the basic movements associated with Hapkido throws, strikes and kicks the muscular skeletal system will be strengthened. It has been repeatedly demonstrated that such exercises will slow the natural process of osteoporosis or the deterioration of skeletal bone that often occurs with the aging process. It goes without saying that almost exercise regime will benefit those who are overweight. Such regimes must however be balanced and appropriate. (i.e. a beginner to weight training should not try to lift too much too quick or do so from a weak stance or injuries will result). The exercises, stances and technique movements in Hapkido training are all based on tried and true methodologies, such as the water principle. Students are encouraged to learn at a brisk pace, but are not forced to overdo, to stress themselves unnaturally, or to attempt techniques before learning and understanding the fundamentals. Weight loss will occur as it should, in a healthy and gradual manner. As body weight returns to normalcy, as lung capacity and tissue oxygenation improve and as pain and stiffness decrease the mind will improve. From a scientific standpoint view, beneficial hormones called endorphins are released with exercise. From a spiritual point of view Hapkido practitioners will learn to harness Ki energy in a positive manner. Meditation will improve well being and the mind will be better able to focus. Eventually self confidence and well being will result. Anyone who is working for a living will admit the irony that adults eventually work to provide for our families but at the very same time that work often keeps us apart from the ones we love. My daughter and I have been practicing the martial arts for many years and it has brought us that much closer. Often those in the family who don’t themselves practice the art will share in the successes of those who do. This feeling of closeness seems to become more and more important and the years progress. The exists a certain camaraderie among Hapkido practitioners, a willingness to help each other learn and a closeness and pride that creates a bond among classmates. They share each others triumphs as well as setbacks. This is especially true of the bond between instructor and student. Often the friendships that develop during martial arts training will last a lifetime. Finally one of the sad facts of life is that while the world is filled with wonderful, kind and caring individuals, it is also home to evil doers One pronounced characteristic of felons is that for the most part they lack the courage to attack people who are their physical equals. The older one is the more prone he or she is to be the victim of attack by those seeking an easy victory. Hapkido effectively teaches those of all ages to protect themselves. Since it is based on the water principle and combines both hard and soft techniques it is ideal for those over 50 regardless of their physical status. The concept of redirecting the attackers force and applying ki energy instead of brute strength is very attractive to those whose physical abilities have diminished with age. Even those forced to walk with support will be delighted to master the art of the Hakido cane, which offers some of the most effective self defense techniques in the martial arts world. Just as it is for the young, Hapkido Adult Self Defense class is a logical and advantageous choice for those who are approaching their golden years. You are currently browsing the archives for the Hapkido category.